This elegant, shining, solitaire pale Blue Topaz Gemstone features a faceted Marquise cut, and is claw-set in a Sterling Silver 925 bezel-setting with a fixed bail. 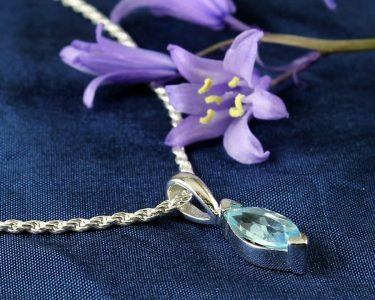 It’s strung on a lustrous Sterling Silver French rope chain, fastened with a delicate spring ring clasp. 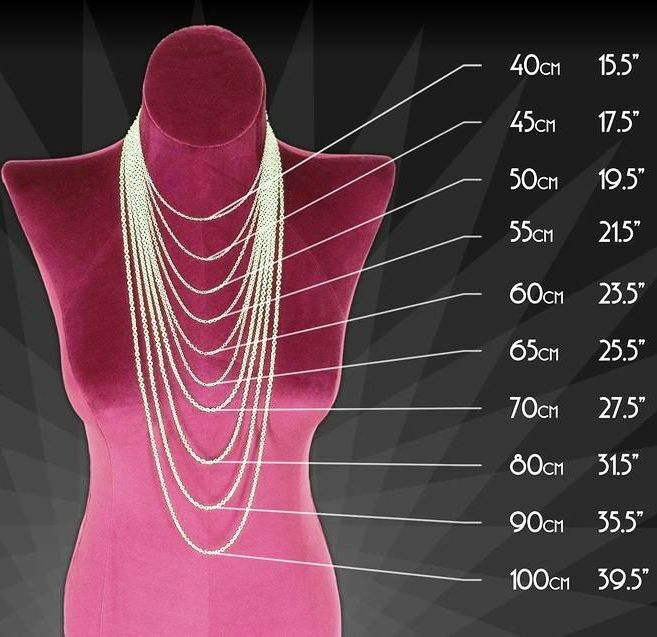 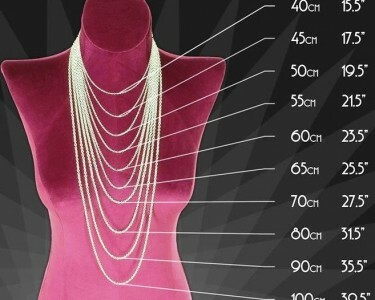 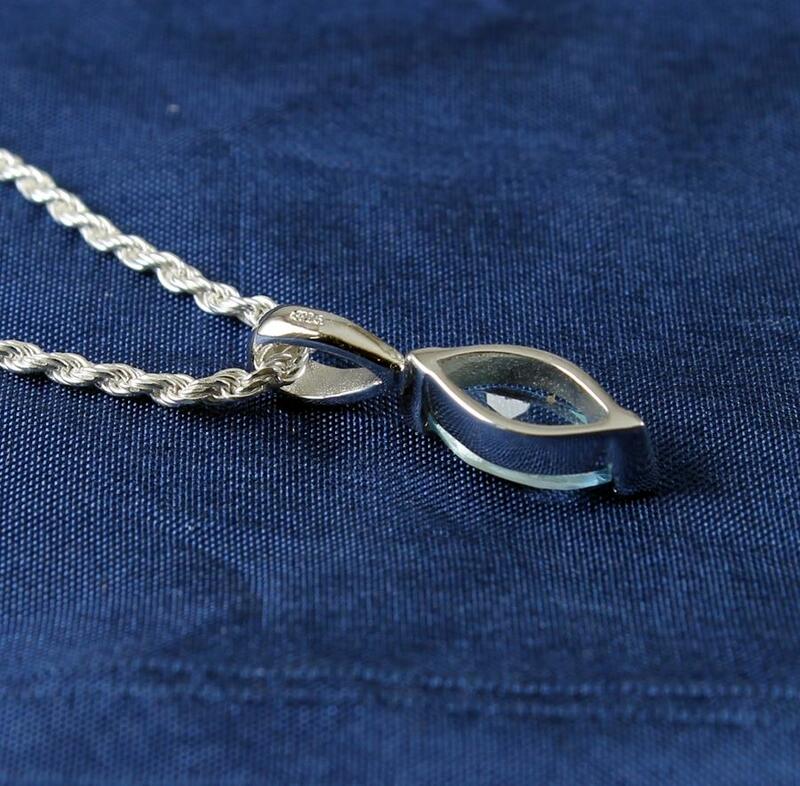 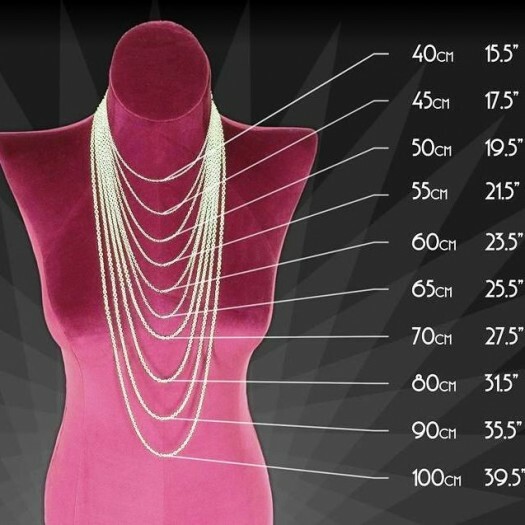 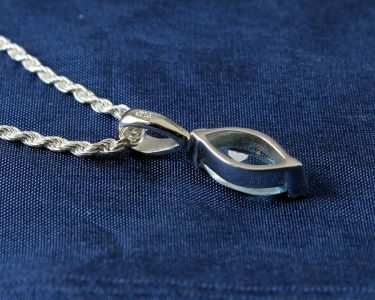 Size & Fit : Pendant drop (including bail): 20mm/0.77in; Pendant length (excluding bail): 12mm/0.49in; Pendant width: 5mm/0.21in; Chain length: 45cm/17.5in. 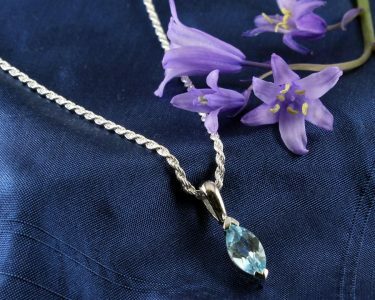 Wear It With : This classical, Marquise-cut, solitaire pendant flashes with superb blue lights, yet is subtle enough to be worn with most of your outfits, and will especially lift your mid to dark blues, or black or white. 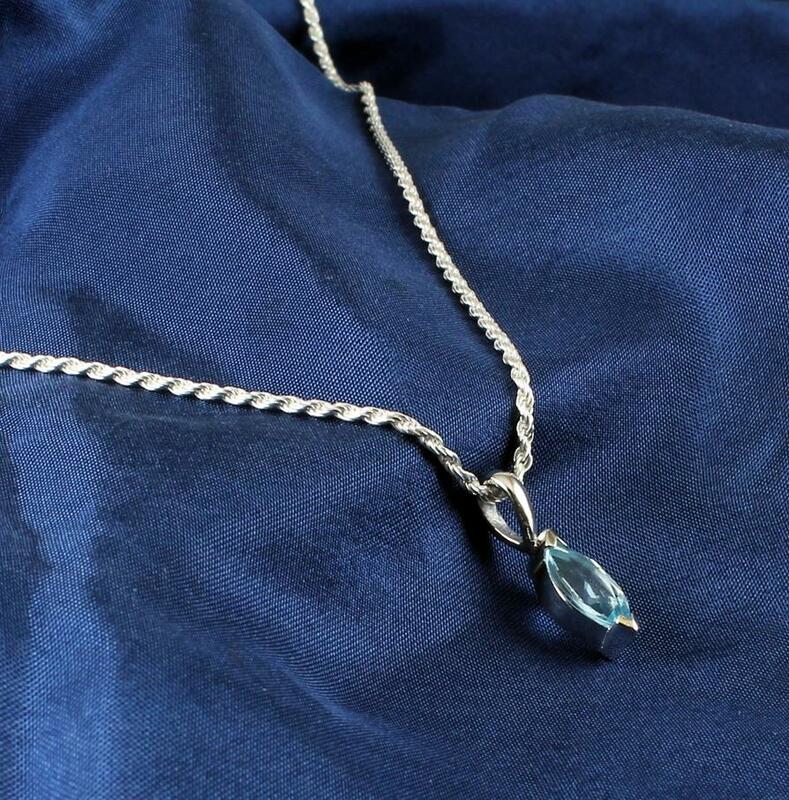 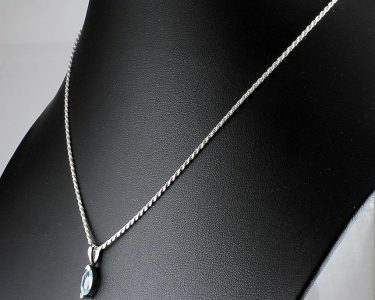 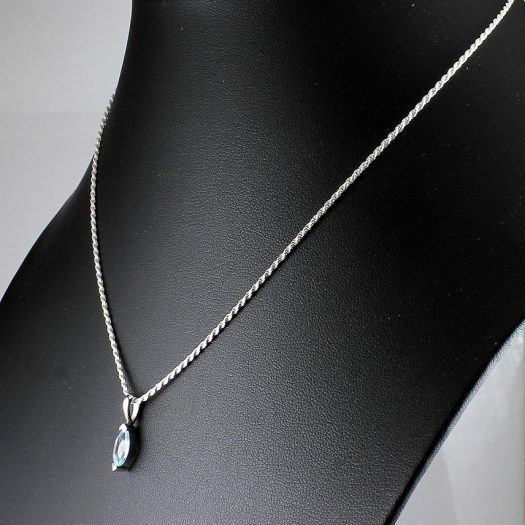 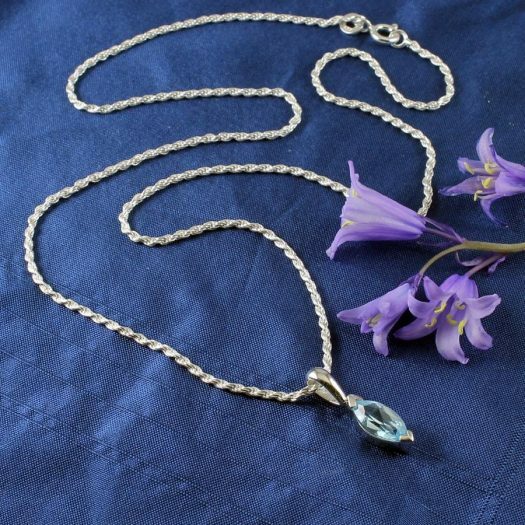 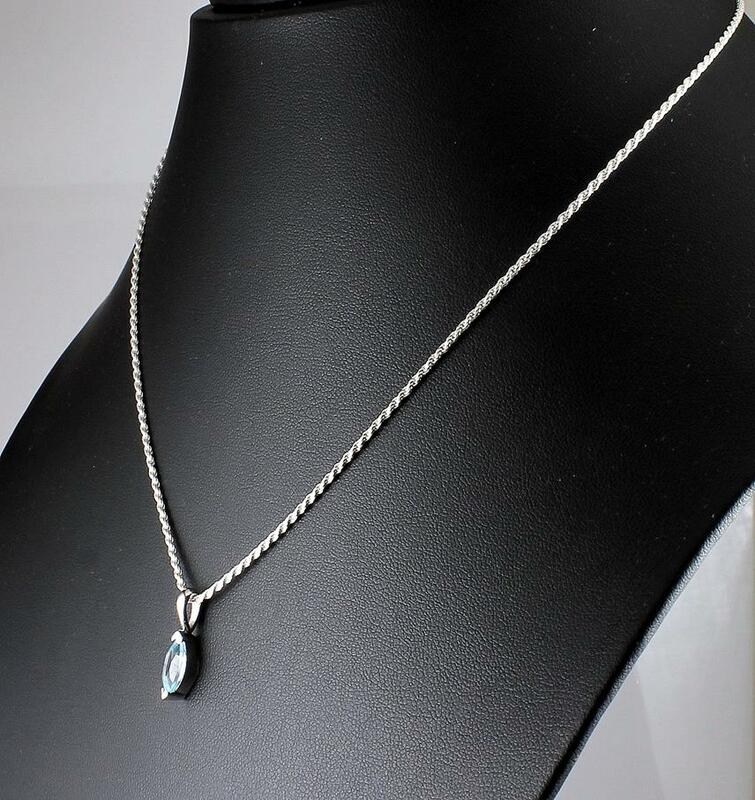 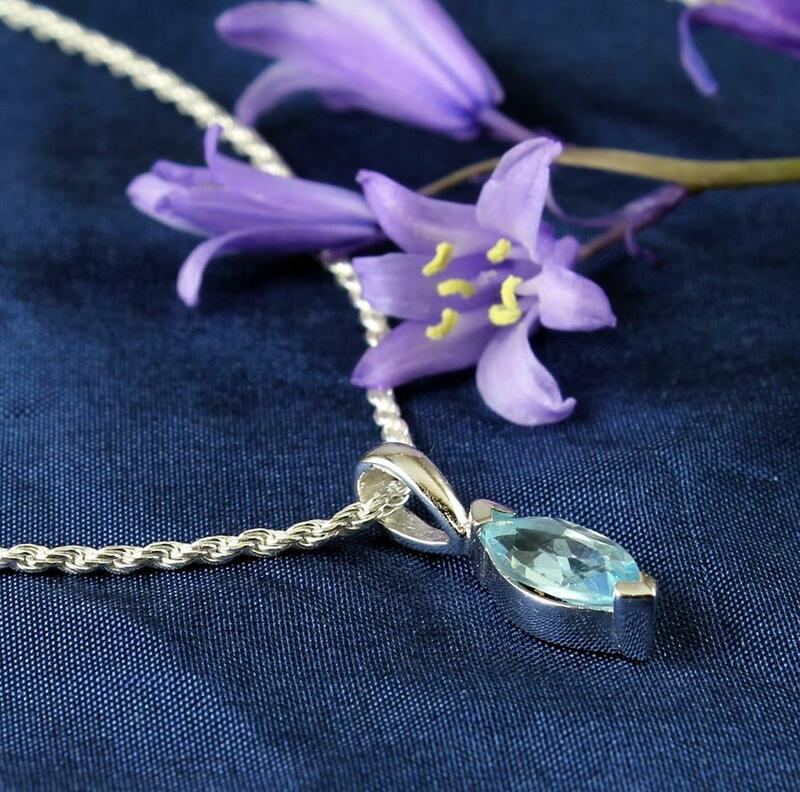 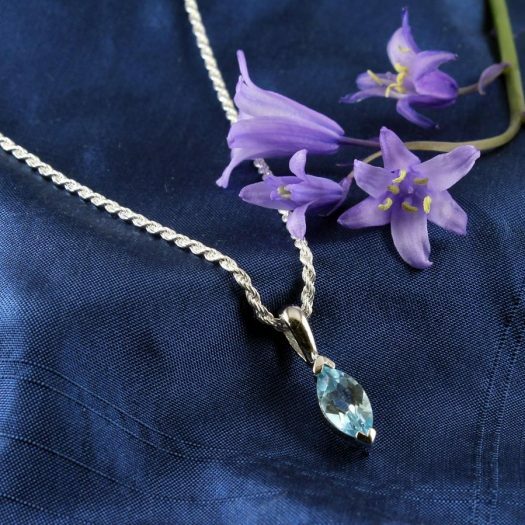 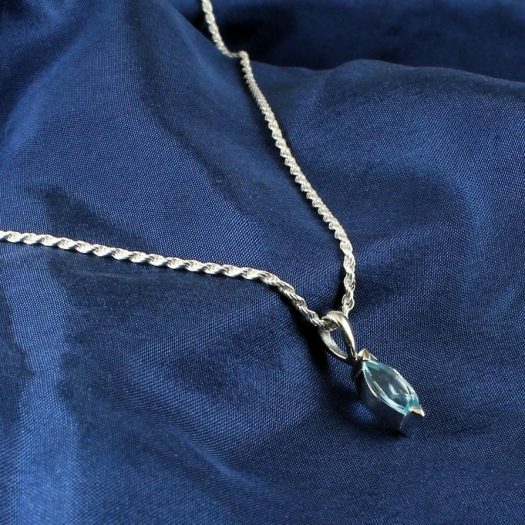 You can match this necklace with other Blue Topaz and Sterling Silver jewellery, or mix it with some completely different items for a more eclectic look. 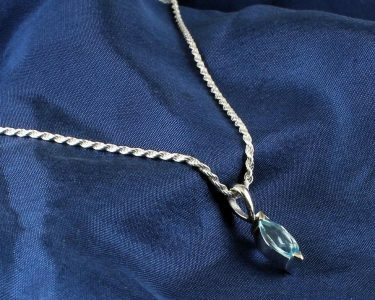 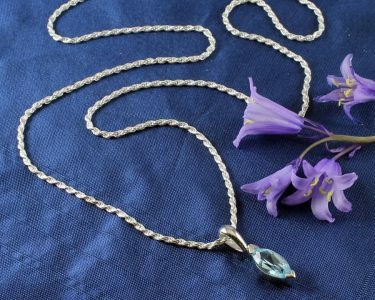 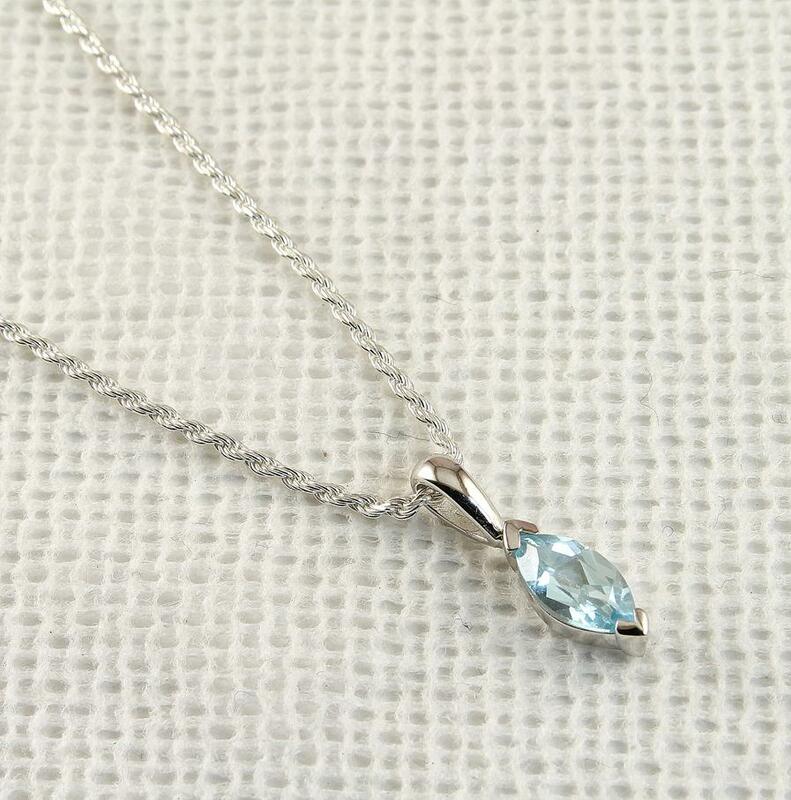 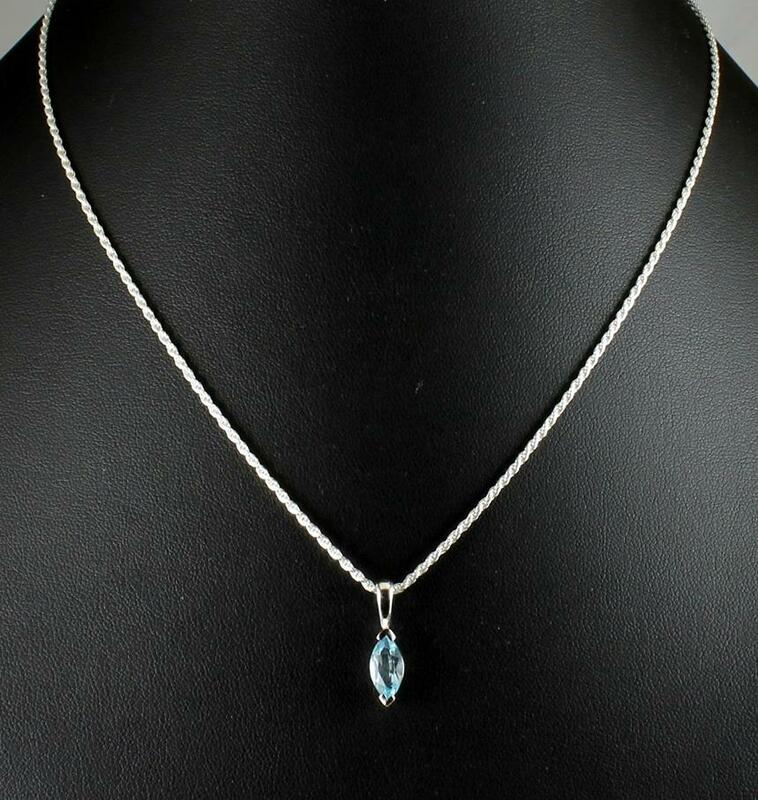 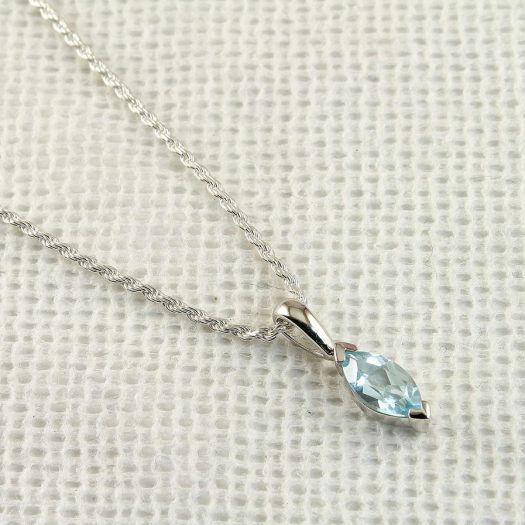 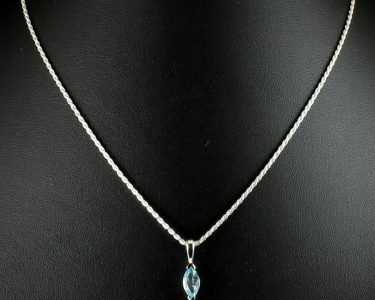 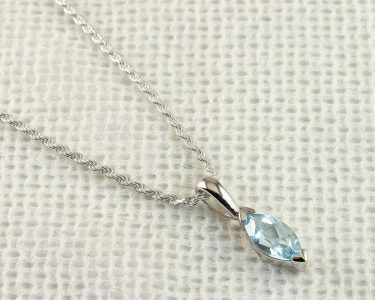 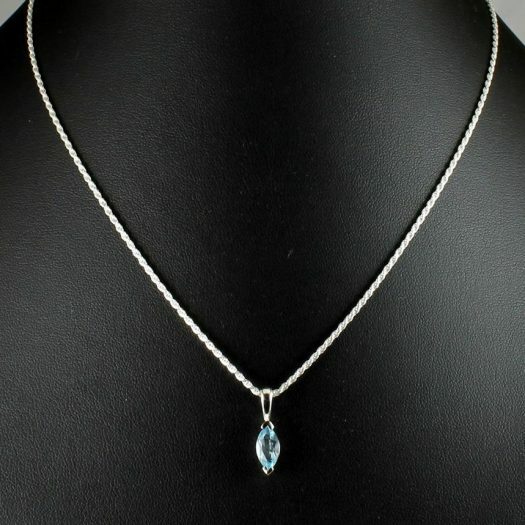 Since Blue Topaz is one of the Birthstones for December, this necklace would be a wonderful gift for someone with a birthday then.